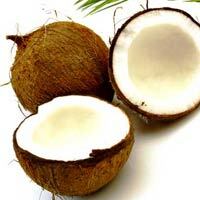 Anu Exports and Imports is one of the prominent Exporters & Suppliers of Semi Husked Coconut . We offer matured Semi Husked Coconut. 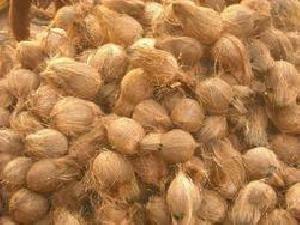 We make available Semi Husked Coconut in extremely good condition. 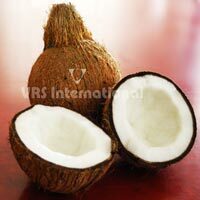 We offer Semi Husked Coconut of 500 gram or above, as per requirement. 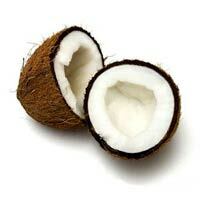 Our Coconut Shell Powder has light brown color and can be packaged as per customersâ�� requirement. We are engaged in supplying Fresh Coconut for the clients. The Fresh Coconut that we offer is of high quality. The Coconuts are freshly procured from the farm and are completely natural. We ensure that each Fresh Coconut that we offer conforms to the industry quality standards. Specialty : Freshness Assured Quality Proper & hygienic packaging Affordable Price Range Packing : 25 Coconut in one Poly Bag. We offer light brown colour de husked coconuts - 12"-16" circumference, 500-800 grams weight packed with 25 pieces in a pp bag. The company offers husked coconuts in the international market. 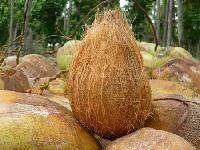 We are regarded among the prominent husked coconut manufacturers, suppliers, and exporters. 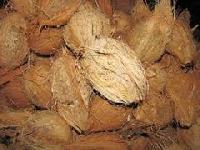 The husked coconuts, we provide, are carefully handled and supplied. 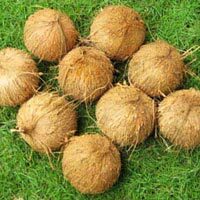 We make available the high quality husked coconuts at affordable prices in india. Our company makes available a wide range of Fully Husked Coconut . The variety of Fully Husked Coconut made available by us is procured from the best vendors and is hence, high on quality. We offer Fully Husked Coconut at the best prices in the market. We also make Fully Husked Coconut available in well-sealed packaging, for the purpose of quality control.